Most people don’t expect to feel worse following a flu shot. After the bruise heals and the Band-Aid is removed, we look forward to a year free from worry about contracting the flu from our friends, family or co-workers. Unfortunately, for many people vaccinated with the 2009 H1N1 vaccine, the effects of this immunization were beyond what anyone could have predicted. Although most vaccines are considered harmless by health officials, recent studies revealed that those vaccinated with the 2009 “swine flu” vaccine have a higher risk of developing symptoms of Guillain-Barré syndrome (GBS). According to CBS News, researchers found that 77 individuals began exhibiting symptoms of Guillain-Barré syndrome as late as 91 days after receiving the H1N1 vaccination. This number is equal to roughly 1.6 more cases of GBS per one million individuals vaccinated. A devastating autoimmune disorder, Guillain-Barré syndrome occurs when an individual’s immune system begins to attack its own nerve cells, causing muscle weakness and, in some cases, even paralysis. These symptoms can last just a few weeks, or they can continue across the course of an individual’s life. In rare cases, a Guillain-Barré diagnosis has even been proven fatal. According to the Centers for Disease Control and Prevention, an estimated 3,000 to 6,000 people develop Guillain-Barré syndrome each year. Of that number, roughly one case is allegedly caused by a prior vaccination. 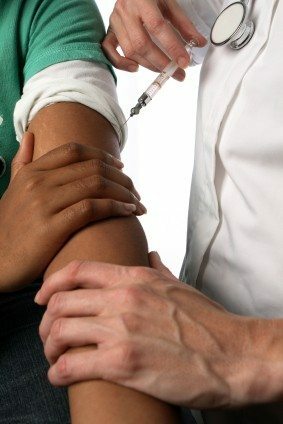 The H1N1 vaccine and Guillain-Barré syndrome were first linked in 1976, during a previous effort to immunize the public against a similar, fast-acting strain of what is known today as the “swine flu.” At that time, the risk of patients contracting GBS was concerning enough that the nationwide vaccination program was halted. When a related strain of influenza surged in 2009, a variation of this previous vaccination revealed similar aftereffects, namely the risk of exhibiting symptoms of GBS. Established as part of the National Childhood Vaccine Injury Act of 1986, the Vaccine Injury Compensation Program (VICP) is a no-fault compensation program designed for people who were injured or harmed by a vaccination. This means that victims of vaccine injury do not need to prove that they received a defective vaccination or that a mistake was made by their healthcare professional. The victim (or his or her attorney) must only prove a substantial likelihood that the health issue they are experiencing was caused by the vaccination. The VICP will also pay for the victim’s attorney, provided they have a special license to handle vaccine injury claims. This means there is no cost whatsoever to pursue a vaccine injury claim, so long as there is a “good faith basis” for filing it. Contact a Vaccine Injury Lawyer in N.C.
Have you been recently diagnosed with Guillain-Barré Syndrome or other neurological condition following a vaccination? If so, the time to act is now. In most cases, a petition must be filed less than three years after the date of the onset of your symptoms. Following patient death, victims have only two years to file a vaccine injury claim with the Court. Symptoms of Guillain-Barré Syndrome or other neurologic injury must last at least six months before a claim will be seriously considered. Contact the experienced vaccine injury lawyers at Ward Black Law in Greensboro, N.C., today. Our attorneys have been specially admitted to the U.S. Court of Federal Claims and are fully qualified to process and handle your claim. They can answer your questions, review your case (at no cost to you) and quickly determine the viability of your vaccine injury claim. Call Ward Black Law at 336-333-2244 or toll-free at 1-877-256-1214. To learn more about the flu vaccine and Guillain-Barré Syndrome, you may also send us an email or submit an online request for additional information.